Every season brings a completely new experience for Dollywood guests, and the park’s 30th anniversary celebration provides six spectacular festivals and a number of surprises to delight visitors in 2015. From amazing stage shows and award-winning roller coasters to a nightly summer fireworks display and the seven-time winner for Best Christmas Event, guests can enjoy seasons of fun at Dollywood! For the first time in a decade, the Showcase of Stars brings some of the biggest names in entertainment to Dollywood. Dolly Parton, whose last benefit concert at Dollywood was in 2005, kicks off the series with four concerts from the 8th to 9th Aug. at D.P.’s Celebrity Theatre, a venue which provides the perfect atmosphere for fans to enjoy this stellar concert schedule. Performers include Parton herself, as well as a few special friends. Showcase of Stars takes place in August and September. Dollywood welcomes the world during the 15th anniversary of Festival of Nations (March 21- April 20). Featuring the traditional music, dance, food and art of countries from around the globe, Festival of Nations is a fascinating celebration which reminds guests of shared similarities while embracing unique, time-honored traditions. Many favorite acts from the festival’s colorful history return to mark this special anniversary. Rhythm of the Dance, a Celtic music and dance spectacular, celebrates Ireland with a high-energy show featuring authentic instrumentalists, vocalists and dancers. New this year is Timber!, a colorful, energetic show which displays epic feats of agility and strength mixed with a traditional French-Canadian soundtrack. Other acts include Argentina’s Los Pampas Gauchos, the Mariachi Divas from Mexico, Zebra Stelzentheater’s German stilt dancers, various roaming musicians and much more. Guests can escape around the world without leaving the heart of the Smokies. Dollywood’s Barbeque & Bluegrass (May 23- June 7) launches the unofficial start of summer on Memorial Day weekend and combines the tastiest barbecue in the South with the biggest names in bluegrass, including The Earls of Leicester, Del McCoury Band, Balsam Range, Rhonda Vincent and Frank Solivan and Dirty Kitchen. This year’s festival features Dollywood’s best bluegrass lineup ever with a multitude of free daily concerts from an impressive collection of International Bluegrass Music Association award winners. This annual tradition wouldn’t be complete without pounds of saucy pulled pork, barbecued chicken and ribs by the slab. Aspiring chefs will enjoy cooking demonstrations by championship-winning barbecue experts from across the country. This family-favorite event is music to the ears… and a treat for the taste buds. Dollywood’s Great American Summer (June 13-Aug. 2) provides families even more of what they already love—time together at Dollywood. This summertime celebration features extended park hours, 10 a.m. to 10 p.m. daily, giving families a unique chance to ride Dollywood’s world-class attractions like Wild Eagle and FireChaser Express all day and well into the night! The park’s festive nightly fireworks show, Dolly’s Nights of Many Colors, has been reimagined to feature new music and interactive elements to celebrate Dollywood’s 30th anniversary. Each evening a high-spirited dance party entertains guests in Wilderness Pass with a fun-filled, 15-minute party designed to get every member of the family on their feet prior to the fireworks extravaganza! Dollywood’s Rock the Smokies (Sept. 5) features inspiring contemporary Christian music on stages throughout the park for an incredible time of praise and worship. Third Day and For King & Country highlight this day-long celebration. With a powerful combination of thrilling attractions and dynamic music, Dollywood provides the perfect location for this amazing Labor Day weekend event. Area student ministries should plan to cap off the summer with this energizing event which is sure to become a hit. Dollywood’s National Southern Gospel & Harvest Celebration presented by Humana (Oct. 2- Oct. 31) provides the perfect setting for fall in the Smokies. Featuring a lineup which includes some of the biggest names in Southern gospel music, the soul-stirring sounds of beautiful harmonies ring through the crisp autumn air as free daily concerts take place on the park’s various stages. Visiting artisans from across the country share their talents through an array of handmade wares, spanning from functional to decorative. Each day is a picture-perfect opportunity to enjoy the traditional experiences of a Smoky Mountain harvest! A seven-time winner of America’s Best Christmas Event, Dollywood’s Smoky Mountain Christmas presented by Humana (Nov. 7- Jan. 2, 2016) features four million holiday lights and spectacular holiday performances, including Dollywood’s A Christmas Carol, which features a hologram version of Dolly Parton as the Ghost of Christmas Past. Guests also can experience the fun and excitement of Rudolph The Red-Nosed Reindeer and his friends who return after their overwhelmingly popular debut appearance in 2014. From the award-winning shows and elaborate holiday decorations to the twinkling lights and Christmas-themed menus, Dollywood captures the essence of a Smoky Mountain Christmas. For detailed schedules and festival entertainment lineups, please visit www.dollywood.com. A highly awarded and widely recognized leader in the amusement industry, The Dollywood Company consists of the 150-acre Dollywood theme park; the 35-acre Dollywood’s Splash Country; Dollywood’s Smoky Mountain Cabins; and Dollywood’s DreamMore Resort, opening in 2015. As unique as its namesake and owner Dolly Parton, Dollywood is the 2010 Applause Award winner, the theme park industry’s highest accolade; winner of nearly 30 Golden Ticket Awards; and recipient of 24 Brass Ring Awards for Live Entertainment (more than any other theme park in the world). In 2014, Dollywood was named a top three theme park by USA Today. 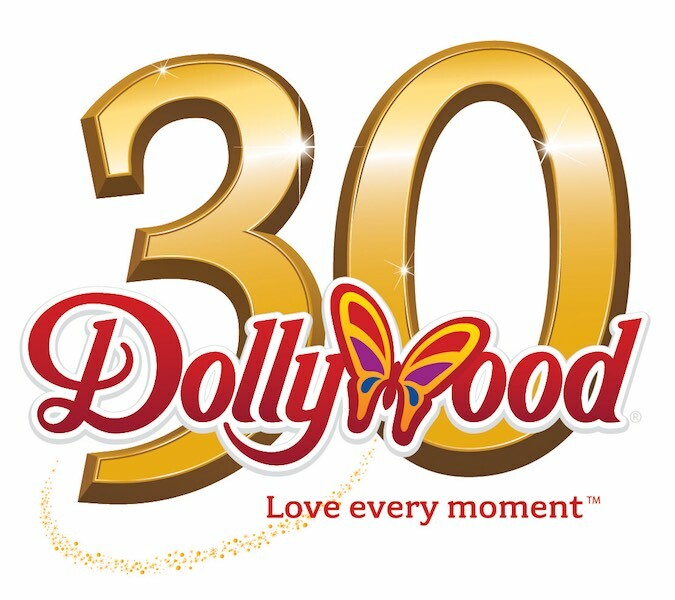 Dollywood, celebrating its 30th anniversary in 2015, is open nine months a year (late March through early January) and offers rides and attractions, shows, and a dozen crafters authentic to the East Tennessee region. Dollywood’s Splash Country, recognized by the Travel Channel as one of the country’s most beautiful waterparks and named 2009’s Must-See Waterpark by the International Association of Amusement Parks & Attractions, operates from Memorial Day to Labor Day. Dollywood’s Smoky Mountain Cabins offers luxurious cabin accommodation overlooking Dollywood. The 307-room Dollywood’s DreamMore Resort provides guests spectacular mountain views and family-friendly amenities next door to Dollywood theme park and Dollywood’s Splash Country. For more information visit dollywood.com. Iconic singer, songwriter, musician, actress, philanthropist, and 2014 Grammy nominee, Dolly Parton, has kicked off her “Blue Smoke World Tour” on Friday, 24th January, in Rancho Mirage, California. In addition this past Friday, Parton announced shows in Tamworth and Cairns being added to the Australian leg of the tour, both shows are already sold out! After a widely successful tour of Australia in 2011, Parton will head down under for her first visit to New Zealand in over three decades as well as a return visit to Australia. Australia, here I come again. We have a lot of new and exciting things for the show and can’t wait to share it with you. I love my fans in that part of the world. You’ve been so very good to me for so many years, I’m really, really excited to be coming back to New Zealand again after 30 years or so. And I know that we’re gonna have a wonderful time. It’s a long way from home in your part of the world, but I always feel like I’m right at home. So Australia, New Zealand, I’m coming home. Wait up – Dolly Parton. After returning home from Australia and New Zealand, there is no slowing down for Dolly. In May, Dolly will, once again, hit a few more markets in America before heading across the pond for June concerts in Europe as well as a return to the O2 Arena in London, the venue where Dolly recorded and filmed An Evening With Dolly (Dolly Records), her widely praised DVD/CD set that was certified GOLD by the RIAA. Every time I come to Europe I’m just as excited as I was my very first time, which was many, many years ago. I love that part of the world and I especially love the fans,” adds Parton. We always have such a good time and I’ve put together a lot of things for this show that I think the fans will love. We had not planned to come back so soon, but we got so much fan mail and such a great reaction that I thought, well, why not. If they’re having a good time and we always do, let’s just do it – Dolly Parton. In 2011, Dolly continued to receive accolades for what was her most successful European and Australian tour of her 45-plus year career—The Better Day Tour! During the 2011 tour, Dolly performed for record-breaking attendances in both Europe and Australia, surpassing her previous attendance records. In 2008, Dolly performed 17 European shows to over 170,000 fans, surpassing her then-best 2007 European tour, where she played 21 shows for over 140,000 people. Each of these treks grossed in the tens of millions of dollars and established Dolly as Europe’s favorite and most successful country artist. Tour dates and venues are below, for ticket and on-sale information please check with your local market. Iconic singer, songwriter, musician, actress and philanthropist Dolly Parton has announced a New Zealand concert date as part of the Australasian ‘Blue Smoke World Tour’ starting in February 2014 at Auckland’s Vector Arena. Dolly Parton returns to New Zealand next year for the first time in over three decades performing at Auckland’s Vector Arena on Friday, 7th February 2014. Dolly’s latest studio album of all new material “Blue Smoke” will be released worldwide on Dolly Records with a release date to be announced soon. New Zealand, here I come again. We have a lot of new and exciting things for the show and I can’t wait to share it with you. I love my fans in that part of the world. You’ve been so very good to me for so many years and I know that we’re gonna have a wonderful time. It’s a long way from home in your part of the world, but I know I’ll feel like I’m right at home. So New Zealand, I’m coming home – Dolly Parton. In 2011, Dolly continued to receive accolades for what was her most successful European and Australian tour of her 45-plus year career – The Better Day World Tour! During the 2011 tour, Dolly performed for record-breaking attendances in both Europe and Australia, surpassing her previous attendance records. In 2008, Dolly performed 17 European shows to over 170,000 fans, surpassing her then-best 2007 European tour, where she played 21 shows for over 140,000 people. Each of these treks grossed in the tens of millions of dollars and established Dolly as Europe’s favourite and most successful country artist. Dolly fans get ready for an opportunity like none other! Dolly Parton is about to announce some very exciting news, and she thinks you’ll like what she has in store. New VIP packages are coming out for this upcoming tour that include access to Dolly’s personal wardrobe and instruments, a backstage tour, and an opportunity to meet Dolly. Keep your eyes peeled for these packages. You won’t want to miss out! For the latest VIP Experience updates, please visit www.dollypartonmusic.net. Tickets go on sale at 9am Friday 11th November.